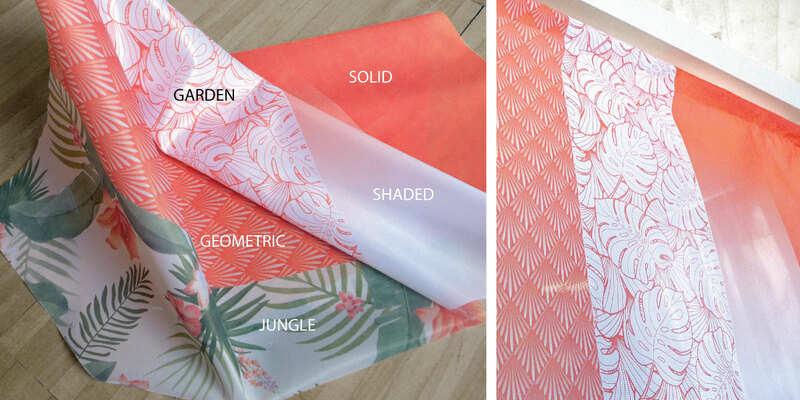 Blog / Pantone Living Coral marquees for trendy weddings! It is well known that spring is the ideal season to celebrate weddings, and on the web there are already numerous articles that talk about new trends, in which the choice of color plays a role of primary importance. Bouquet, invitations, favors, bridesmaids' dresses, floral decorations, even the groom's buttonhole flower ... in short, everything, to be trendy, must be strictly dyed PANTONE 16-1546 Living Coral, Colour of the Year 2019, defined by the same executive director of Pantone Leatrice Eiseman as "earthbound and welcoming, optimistic and intimate". The bride and groom wishing to celebrate "their most important day" following the new trends, will carefully choose the floral decorations of the garden, the banquet of catering and why not ... the marquees that will be installed in the garden for the ceremony! Why not customize the marquees, enriching them with some "Living Coral" colour decorations, for example by printing directly floral decorations of this color to the valances? We can personalize all PVC fabrics, even the side sheer curtains! Get a quote right now! The season has already begun!